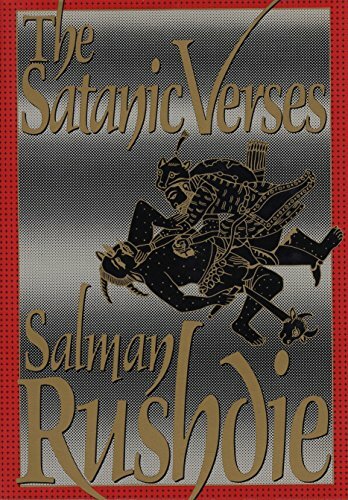 The Satanic Verses ***SIGNED*** by Salman Rushdie: Viking, NY 9780670825370 Hard Cover, 1st American Edition, 1st Printing., Signed by Author on Full Title Page - William Ross, Jr.
No book in modern times has matched the uproar sparked by Salman Rushdie's <i>The Satanic Verses</i>, which earned its author a death sentence. Furor aside, it is a marvelously erudite study of good and evil, a feast of language served up by a writer at the height of his powers, and a rollicking comic fable. The book begins with two Indians, Gibreel Farishta (&quot;for fifteen years the biggest star in the history of the Indian movies&quot;) and Saladin Chamcha, a Bombay expatriate returning from his first visit to his homeland in 15 years, plummeting from the sky after the explosion of their jetliner, and proceeds through a series of metamorphoses, dreams and revelations. Rushdie's powers of invention are astonishing in this Whitbread Prize winner.